PLOT: A frontiersman on an fur trade expedition in the 1820s is on a quest for survival and revenge after being left for dead by his compatriots. Misleadingly billed as an epic western, The Revenant may be set in the 1820s American West but there are no cowboys, pistol fights or duels at dawn. Based on a book of the same name by Michael Punke, it tells the true(ish) story of Hugh Glass, a Scottish-Irish-American frontiersman and fur trapper who was mauled by a bear and left for dead by his fellow hunters. Through flashbacks we find that Glass (DiCaprio) was married to a Pawnee Native American until she was killed, leaving Glass to raise their son, Hawk. Whilst on a large scale fur trapping expedition he disturbs a bear and is mauled leaving him with horrendous injuries. Initially the group try to get Glass to their fort, some 200 miles away, but when it becomes clear this is impossible three men are left to stay with Glass until he dies so that they can give him a proper burial. When one of the men (Fitzgerald, played by Tom Hardy) decides to abandon the plan, killing one of the others and leaving Glass for dead in a shallow grave, Glass resolves to track him down and get his retribution. A tale of perseverance and revenge, Glass’ journey through the harshest winter, with injuries enough to kill most men is compelling and believable throughout. This is not Rambo taking on the National Guard with an armoury of weapons, but one man against the worst that man and nature can throw at him. 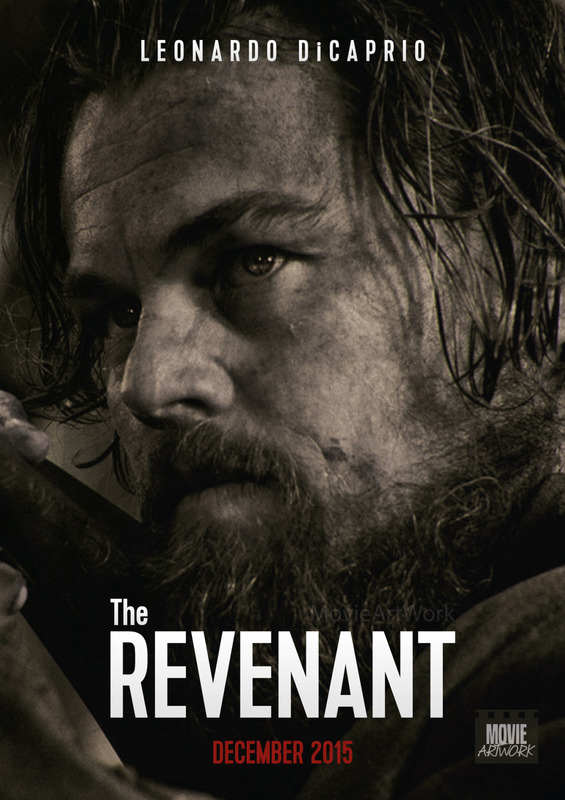 The Revenant paints a stunning picture of the winter wilderness and whilst Leonardo DiCaprio will rightly claim many of the plaudits for a brilliant performance as the film’s lead, it is not just an actor that we should be revering. Cinematographer Emmanuel Lubezki has scored Oscar wins for two years running for his work on Gravity and Birdman, so there should be no surprises if he takes the hat-trick for easily his best work from all three of those films. Using only natural light, the filming conditions were hellish with long treks to remote locations deep into the wild and very limited filming times due to the reduced winter daylight hours in the Canadian location. In an interview with Yahoo, DiCaprio is quoted as saying of the process “I can name 30 or 40 sequences that were some of the most difficult things I’ve ever had to do. Whether it’s going in and out of frozen rivers, or sleeping in animal carcasses, or what I ate on set. [I was] enduring freezing cold and possible hypothermia constantly”. The Revenant eventually had to be filmed in 12 separate countries due to an unexpectedly warm Canadian winter, meaning that their was not enough snow for the later scenes. I was critical of Director Alejandro G. Iñárritu’s last film, the bloated oscar-bait Birdman, which felt more like an in-joke for the industry rather than entertainment for the audience. But in The Revenant he has produced an amazingly intimate film using very close camera work that at times is quite uncomfortable for the viewer. One particular fight scene will have you moving backwards so that the cameraman can get out of the way of the flailing fists and weapons. In other shots the camera is so close to DiCaprio’s face that you see his breath fogging up the lens. This effect doesn’t always work though and a scene on horseback is slowed down terribly by the camera angle and this only serves to sanitise the peril of the situation. The violence is sparse for the most part, but when it hits it is particularly graphic and I can’t remember wincing at a film quite as much as this for some time. The brutality of the film is shown at its best though during the much talked about bear attack. Having heard much about it, I was still not prepared for the viciousness and authenticity of the scene. Without the use of CGI (which Iñárritu insisted upon) I am completely at a loss to understand how the scene was filmed, which is testament to the quality of the effects throughout. There are a few small niggles with the film. At one point DiCaprio is buried alive in what appears to be a fresh bag of potting compost rather than harsh earth of a frozen wilderness and there is also a well done but pretty pointless scene reminiscent of the ‘Taun-Taun incident’ from Empire Strikes back. I also found that the sentimental flashbacks showing Glass’ wife and their son as a baby left me with a feeling of ambivalence rather than compassion. Whilst the film understandably slows its pace in the middle section it does suffer from an over-indulgant director who seems to think anything under two and a half hours is a popcorn movie, The Revenant is a rare beauty and due to a tactical limited release in a small number of US cinemas on Christmas Day, the film is eligible for the 2016 Oscars and I would certainly be expecting the film to collect at least one of the 12 treasured statuettes it has been nominated for. The Revenant is a rare beauty and a vicious beast. This year at least, the Oscar hype surrounding Alejandro G. Iñárritu’s latest film is fully justified. 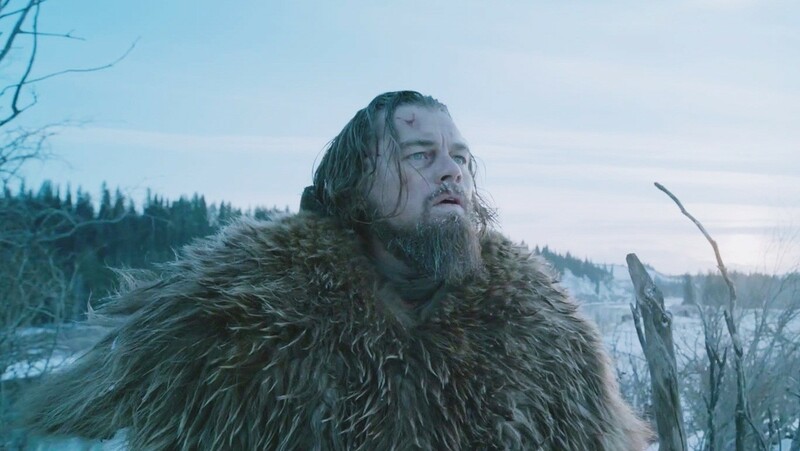 The Revenant is the second film to be made of Hugh Glass’ exploits. In 1971 the late Richard Harris starred in Man in the Wilderness, featuring a plot very similar to The Revenant, though the lead character was renamed as Zachary Bass.